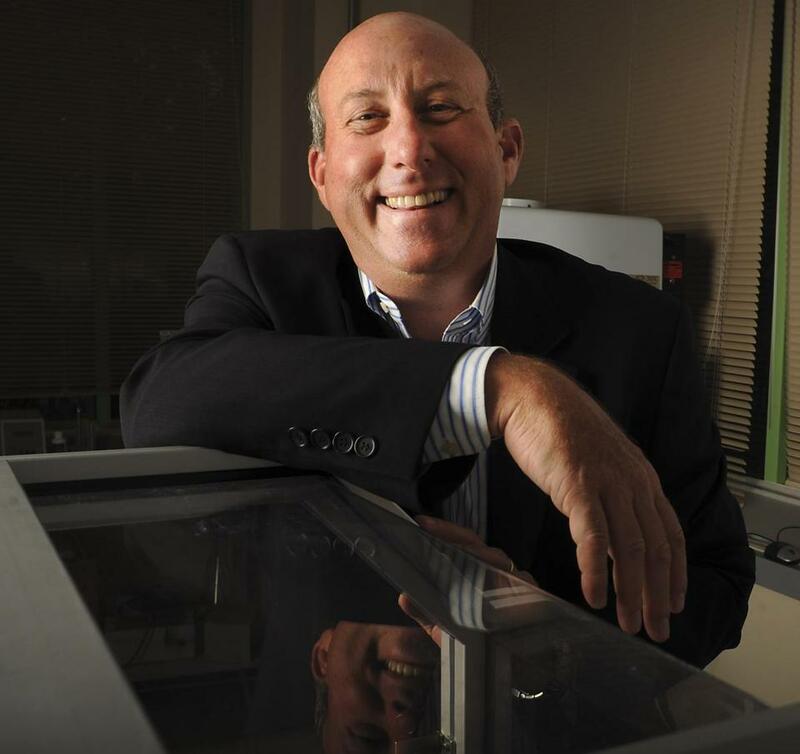 Vertex Pharmaceuticals CEO Jeffrey M. Leiden was photographed in 2013 at the company&apos;s headquarters. Vertex Pharmaceuticals Inc. CEO Jeffrey M. Leiden saw his total compensation drop 38 percent to $17.4 million last year, largely on a steep cut in his stock-option awards from the Boston-based biotech. It was the second year in a row that Leiden’s pay declined from a 2014 payout of $36.6 million that made him the highest-paid head of a Massachusetts public company and sparked some shareholder criticism. Leiden, who has run Vertex for the past five years, received a salary of $1.3 million, a bonus of $2.2 million, and stock awards totaling $13.9 million in 2016, according to a proxy statement released on Monday. Unlike in past years, the bulk of his stock compensation was in restricted shares tied to a specific dollar amount, rather than stock options tied to a number of shares. Leiden’s stock awards in 2015, totaling $23.3 million, were heavily weighted toward stock options. The change, approved by the Vertex board’s compensation committee last year, reflects its transition from a research company — which attracted executives with stock options that were risky but carried the potential for high reward — to a profitable commercial enterprise. But the change was also prompted in part by a nonbinding shareholder vote in 2015 that opposed Vertex’s steep executive compensation awards the previous year, including more than $53 million in one-time retention bonuses to about a dozen executives. Those bonuses, including $14.9 million for Leiden, were conditioned on the then-unprofitable company earning money for four consecutive quarters. They are on track to be paid out this year. Vertex posted a profit of $211 million last year, a turnaround from its $267 million loss in 2015. The profit came from sales of its newest cystic fibrosis drug, Orkambi, along with an earlier drug, Kalydeco, which treats a different set of patients with the obstructive lung disease. The company’s overall revenue increased 70 percent last year to $1.7 billion. But sales of Orkambi, which treats the largest population of cystic fibrosis patients, fell short of Vertex’s sales targets. That shortfall was reflected in Leiden’s performance-based bonus last year, which fell 35 percent from the $3.4 million bonus he received in 2015. Leiden’s base salary was up slightly in 2016 over 2015. In a message to stockowners in the Vertex proxy statement, Leiden cited the company’s encouraging findings in testing new drugs and drug combinations to treat cystic fibrosis patients with different mutations that don’t respond to Orkambi or Kalydeco. “Based on our recent progress, we now believe the question is not if we will achieve our ultimate goal of curing CF, but when — and how quickly we can replicate this model in other serious, life-threatening diseases,” he wrote. Leiden last month said the clinical data from an experimental two-drug combination were strong enough to persuade the company to file an application for approval with the Food and Drug Administration in the third quarter of this year. If approved, it would be Vertex’s third cystic fibrosis treatment to make it to the US market in the past six years. Vertex released the proxy statement after the close of regular trading. Its stock closed at $114.81 and is up 44 percent in the past year, compared with a gain of 3.6 percent by the Nasdaq Biotechnology Index.